Arrival Delhi Airport / Railway Station / Hotel, Meet & Assist further drive to Haridwar. Transfer to your Hotel. Visit Har-ki-Pauri for Ganga Aarti in evening. Back to your hotel, Night halt..
Drive to Jankichatti / Phoolchatti, trek start from here to Yamunotri (6kms). Either by walk or by horse or by Doli at own cost. Arr. 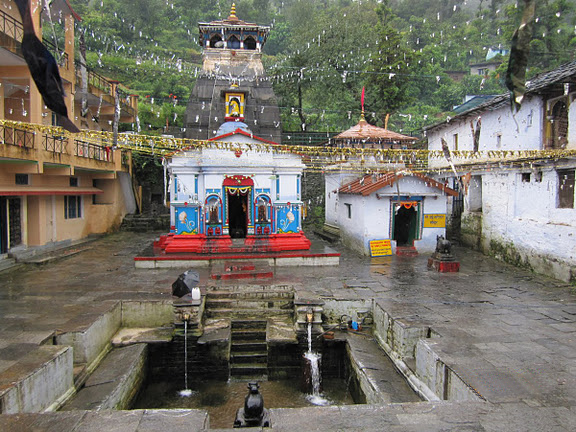 Yamunotri, One can cook rice by packing it in a cloth and dipping it in the hot water of the hot kund. Pilgrims take this cooked rice home as “Prasad”. Here near the temple “Pooja” can be offered to Divya Shila, after taking bath in Jamunabai Kund’s warm water and having “Darshan” of pious “Yamunaji” returning to Jankichatti. Later drive back to Barkot. Overnight stay at Hotel. Drive straight to Guptkashi. Enroute you can see the beautiful river Mandakini at Tilwara. The Mandakini River comes from Kedarnath, drive alongside the river to reach Guptakashi. On arrival check in at the Hotel, evening visit Ardh Narishwar Temple. Overnight stay at the Hotel. Morning drive to Sonparyag, Trek start from Sonparyag to Kedarnath (3584 mts) on foot or on by pony / Doli. 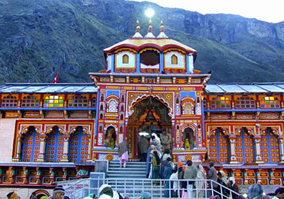 Tour members should carry personal medicines, heavy woolen, toiletries and clothes for an overnight halt at Kedarnath. Check in Hotel. Later visit Kedarnath Temple. Night halt. Early morning, after Temple Darshan trek down to Sonparyag. Later, drive to Rudraprayag via Guptkashi. Check in Hotel at Rudraprayag. Night Halt. Early morning, pilgrims after having a bath in the Taptkund have the Darshan of Badrivishal. Brahamakapal is significant for Pinddan Shraddh of ancestors (Pitrus). There are other interesting sightseeing spot like Mana, Vyas Gufa, Maatamoorti, Charanpaduka, Bhimkund and the “Mukh” of the Saraswati River. Just within the three kms of Badrinathjee. Later drive back to Rudraprayag via Joshimath. Check in Hotel. Overnight stay. Drive back to Delhi. On Arrival in Delhi, transfer to Railway Station / Airport. Tour Terminate. Non Alcoholic (i.e. Tea/ Coffee/ Juice) welcome drink on arrival in Hotel. Pick up & Drop from Delhi by Individual cab. 10 Nights’ Accommodation for 6 Adults in 3 rooms on Double sharing.